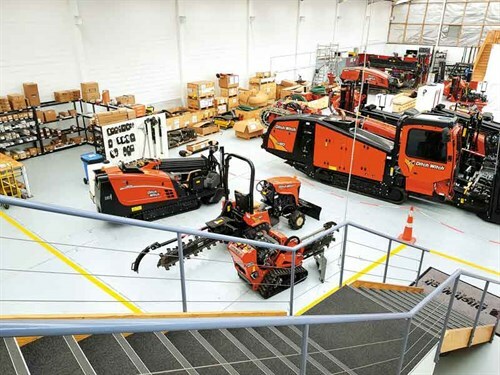 Ditch Witch NZ is now bordering the well-known Turners car auction site, DWNZ now occupy 96 Gavin Street, within easy access to the motorway connections. The new facility with dual access is over 1200m2 with a large 770m2 warehouse used for spare parts storage, workshop and new machine storage; providing security and room to manoeuvre trucks and other vehicles. There is also a large 250m2 partially enclosed canopy allowing for bulk storage of drill pipes and fluids. A very happy DWNZ general manager John Grant says, "The larger site allows us to increase stock holding to unprecedented levels. We have always been well known for our outstanding parts and capital equipment availability but this new facility allows me to stock even more to ensure we have the solutions for our customers when they need it." 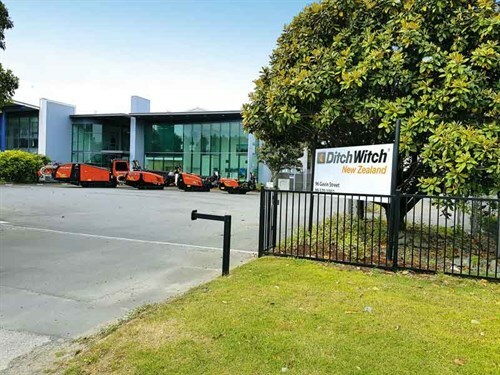 Ditch Witch NZ recently added to their staffing and now boasts five staff dedicated to supporting their customers parts and service needs. "The workshop has grown to three staff covering field service and workshop build work and with the new facility allowing for increased workspace this is sure to grow in the near future," says John. 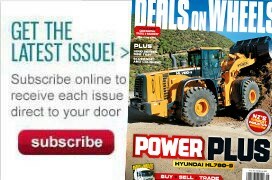 Read more news and industry updates on Deals on Wheels.